The Merriam-Webster dictionary provides three definitions of the word loyal. Of the three examples, the third one is what I see most often, “faithful to a cause, ideal, institution or product”. I think it is the easiest to demonstrate because it often shows up in groups — such as being faithful to a sports team, having brand loyalty to some product (such as owning a certain brand of car or clothes or drinking certain beverages). If you live in St. Louis, being loyal to the local baseball team is assumed. 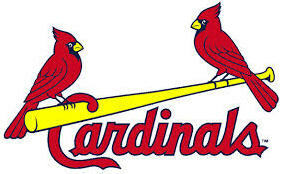 If you are not a loyal Cardinal fan, then you are often looked up as not being a real St. Louisian. Being loyal in this manner is fun, but it seems to miss the real substance of the word ‘loyal’. I prefer the meaning in the second definition which talks about being “faithful to a private person…” Unfortunately, this definition seems to be the hardest to find examples of in day to day life. In a society that values the rights of an individual first and foremost, is the idea of being faithful to a single person old fashioned or out of touch with reality? Why should we think that another person deserves our loyalty? The best answer I have found to these questions is in a favorite book of mine, called “The Power of Kindness: The Unexpected Benefits to Living a Compassionate Life“, by Piero Ferrucci. I own this book in hardcopy as well as an electronic version, both versions have been bookmarked many times because there are so many wonderful ideas for how to live. Not a single section of the book talks about what sports team to follow or what clothes to wear, but there is an entire chapter on the topic of loyalty in the best sense of the word. The full chapter should be read to appreciate the author’s insight, however, I will include excerpts from the last two paragraphs. These passages show what true loyalty brings to person’s life. Another favorite author of mine, J.K. Rowling, seems to agree with this interpretation of loyalty. In the Harry Potter series, the characters who remain loyal throughout the numerous hard times continue to grow as individuals and those that are not are reduced to meaningless caricatures. This theme is obviously why I enjoy watching the Potter movies over and over — it is a message that cannot be repeated too often. I am certain that I will continue to enjoy showing baseball loyalty by wearing Cardinals attire, but I’m more grateful for individual loyalty that I have experienced firsthand. While I haven’t had the life challenges of Harry Potter, I am fortunate to have many friends like Hermoine, Ron, Luna, and even Hagrid.